I feel lucky, very lucky to be alive and be able to tell you this. I had a sudden cardiac arrest December 2014 and survived. The statistics are slim for surviving a sudden cardiac arrest, only 7% live to tell about it. My heart’s electrical system crashed and I needed help and fast. I’m hear to tell you my story in hopes it can help save a life. Here’s why. This is very educational on how the electricity of the heart works and what happens when it doesn’t (Sudden Cardiac Arrest). My heart beats to that of a different drummer, I have what is known as LBBB (Left Bundle Branch Block) which is what contributed to my heart going into ventricular fibrillation and ultimately into sudden cardiac arrest. I now have a device that was implanted to provide what is called “cardiac resynchronization therapy” (CRT) and it has a defibrillator as well, to stop and restart my heart rhythm if need be. It’s a fancy pacemaker with 3 leads that are attached to my heart and works about 90% of the time to keep my heart in a coordinated rhythm. The other 10% my heart paces the rhythm, otherwise my orchestra leader would be in the bathroom all the time, like the illustration in the video above and my heart would “march to the beat of a different drummer”. I couldn’t breath enough to talk to the 911 operator but fortunately I had called from my landline phone. She knew my name and my location based off my incoming number in the system. My mail carrier had arrived while I was waiting for the ambulance and she came in and sat with me while we waited for the ambulance to arrive. She helped to keep me calm and breathing while the operator stayed on the line. The attendants asked me to walk outside to the stretcher at the bottom of the steps. I thought I could, until I stood up. Then I realized I was having a heart attack but couldn’t breath enough to tell them. My worst fears came over me, but I remained calm, knowing a peace that comes from my spiritual strength. I wasn’t afraid of death but I knew the Lord was right there with me, it was the kind of peace that passes all understanding. I guess I was meant to tell you my story. 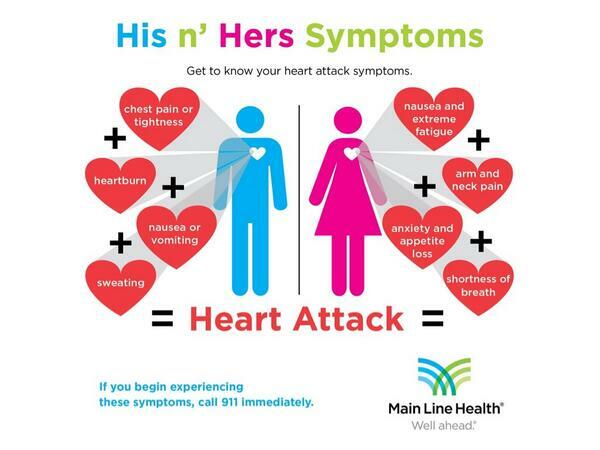 Please listen to your body and if you have any symptoms that could be associated with a heart attack or sudden cardiac arrest, call 911 or your emergency number to get medical help immediately. A sudden cardiac arrest will end in death if an electrical shock is not administered to the patient within minutes. The brain cannot go without oxygen for long. It is imperative to provide support if you know CPR until the medical team arrives with an AED (Automated External Defibrillator) to provide the shock needed to stop and reset the heart rhythm. If you or a loved one has heart disease in your family get a check up and find out what you can do to prevent the number one killer in America. Lifestyle changes are important to recover and thrive after sudden cardiac arrest (electrical malfunction) or a heart attack (blockages in the heart). I have made a lot of changes in my life and all are for the better. I am eating much healthier and have eliminated a lot of allergens like wheat, grains, sugar and most dairy. I practice yoga twice a week, meditate regularly and exercise (weather permitting). In the spring and summer my exercise is working in the garden and taking walks. In the fall and early winter I walk daily. Winter finds me less active but I still do yoga twice a week and play Xbox sporting games using the Kinect feature of the Xbox 360 system. Two of my favorites are the games that are a combination of different sports. Here’s one I grabbed off the Xbox site to share. Kinect Sports: Season Two. I like the golf, downhill skiing and the tennis games the best. Season One has the bowling and ping pong games I also play. I didn’t think it made much difference playing those games but it does. I bowled 4 games in a row one day and I could feel the difference in my legs. Learn to have fun, enjoy the little things in life and don’t wait to do something until the time is right. Be good to yourself, love yourself enough to take time to do the things that matter…in the name of health.